Martin Scorsese’s Hugo had me at the first shot—one of the director’s signature bravado tracks that swoops from an aerial view of early 1930s’ Paris down into the teeming cinematic fresco that is the Gare Montparnasse. We are plunged into the middle of the action, from the train tracks with their narrow platforms amid happy shoppers and hurried travellers, to a pair of Dickensian bright blue eyes peering out of a hole in a clock face above the station’s entrance. 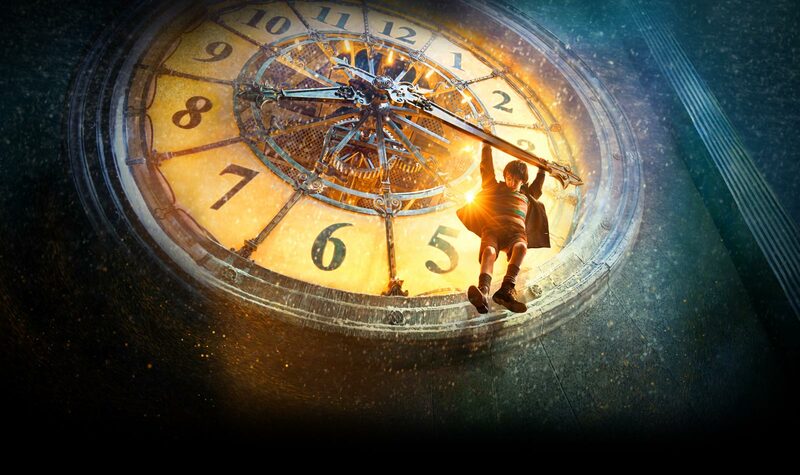 The big eyes belong to Hugo Cabret (played by Asa Butterfield), a lonely twelve year old boy who has a gift with gears, screws, springs, knobs, wrenches, and levers and makes sure every clock in the station is wound and ticking away just the right time. His true occupation, however, is trying to fix his automaton, a mechanical man that is all he has left from a happy past with his clockmaking father (Jude Law). Those times seem like another lifetime; now when Hugo gazes longingly at the dreamlike cityscape and its Eiffel Tower, his expression betrays a sadness too deep for someone so young. Hugo is drawn by the simplicity of machines. Every one of them has a clear purpose, and they never come with any extra parts. You only get what you need. If only it was like that with people, he muses; if only we knew what our purpose was, and we could be fixed when we lost it. From his home and hiding place in the walls and above the ceiling of the station, an intricate maze of ladders, passages, catwalks, old abandoned workers’ apartments, and the clocks themselves, Hugo sees everything without ever being seen. He watches the human comedy of warm vignettes with a rapt fascination. The film’s many subplots feature colorful supporting characters and unfold much like silent romances or comedies: the ruthless station inspector (Sacha Baron Cohen, who provides much of the movie’s humor), Hugo’s reason for hiding, is smitten with flower seller Lisette (Emily Mortimer), and suitor-to-be M. Frick (Richard Griffiths) toils for the attention of Mme Emilie (Frances de la Tour), only to be barked away by her nippy little dachshund. Hugo, in the absence of his boozing uncle, survives—for what he’s doing cannot be called living—on stolen croissants and milk bottles and makes it the sole purpose of his existence to find and commandeer the missing parts of his windup machine. This gets him in trouble with a grumpy old man who owns a toy shop in the station which served as his unwilling supplier. Papa Georges (a touching Ben Kingsley), as he’s known to his goddaughter, Hugo’s future partner in crime and only friend Isabelle (Chloë Grace Moretz), is much like a broken machine himself, embittered by a life that didn’t turn out the way he’d dreamed. And dreams are of a central interest to Hugo, especially the dreams, wonder, and magic of the movies. 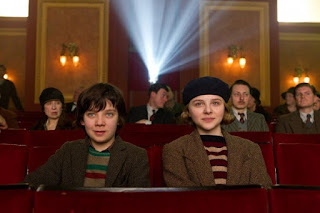 For film lovers, the best and most moving scenes will come in the second half of the film, when Hugo and Isabelle uncover the mystery that binds his dad and her godfather, and embark on an adventure that takes them back to the birth of the cinema. They meet the man that built the first movie studio, a glass palace where dreams were made. Isabelle, a bookworm prone to using words like “circumlocutions,” indignantly demands of Hugo “you don’t like books?! ?”—her voice in italics—and insists the library is “Neverland and Oz and Treasure Island all wrapped into one.” So are the movies. Scorsese lovingly recreates scenes from silent masterpieces, such as underwater tableaus of mermaids and lobster men, nightmarish images of acrobatic skeletons that disappear in clouds of smoke, the most famous scene of the daring A Trip to the Moon¸ in which a flock of scientist fly a rocket straight into the eye of the Man in the Moon, and other early cinematic sleights of hand, magic tricks and illusions. Masterfully adapted from The Invention of Hugo Cabret, written by Brian Selznick (Gone with the Wind producer David O. Selznick’s cousin) by screenwriter John Logan, Hugo is like nothing Scorsese has done before. It’s a big-budget, family picture in 3D from the maker of Mean Streets, Taxi Driver, Raging Bull, and The Departed. However, the style is unquestionably, singularly his. From the opening shot, which is reminiscent of Harry Hill’s long walk through the kitchen into the nightclub in Goodfellas, to the unrelenting attention to detail and deliberate pacing, Hugo belongs to Scorsese. The film never loses sight of the human scale amid the dazzling special effects or the breathtaking production design by Dante Ferretti with its lavish, dreamlike sets of a magical, romantic City of Lights. The characters, the acting, and the story are what drive the movie, which are enhanced rather than hindered by the impeccable production credits by long time collaborators of Scorsese’s like cinematographer Robert Richardson (whose previous joint efforts with the director include Casino, The Aviator, and Shutter Island), three-time Academy Award winning set decorator Francesca Lo Schiavo (Gangs of New York, The Aviator, Sweeney Todd) and virtuoso editor Thelma Schoonmaker, who nabbed her third Oscar for Hugo. The 3D is quite possibly the best I’ve seen so far. Scorsese doesn’t just dabble in it, or use it as a monetizing gimmick, but embraces it completely, creating a magical world that belongs to the same land of dreams as the movies he celebrates. I have seen the film three times, the first time in 3D, twice on the big screen, once on DVD. The three-dimensional version is undoubtedly the best, but the movie holds up just fine in two dimensions. Hugo is also deeply and unapologetically personal. The isolation and loneliness of the young boy mirror Scorsese’s, who, as an asthmatic child was in Little Italy but not of it, watching the life of the neighborhood through his window. Other elements of the story are also close to his heart; the emphasis on the importance of preserving old films reflects the director’s strongest beliefs. Above all, Scorsese is a cinephile, and Hugo is a great movie about the love of great movies.